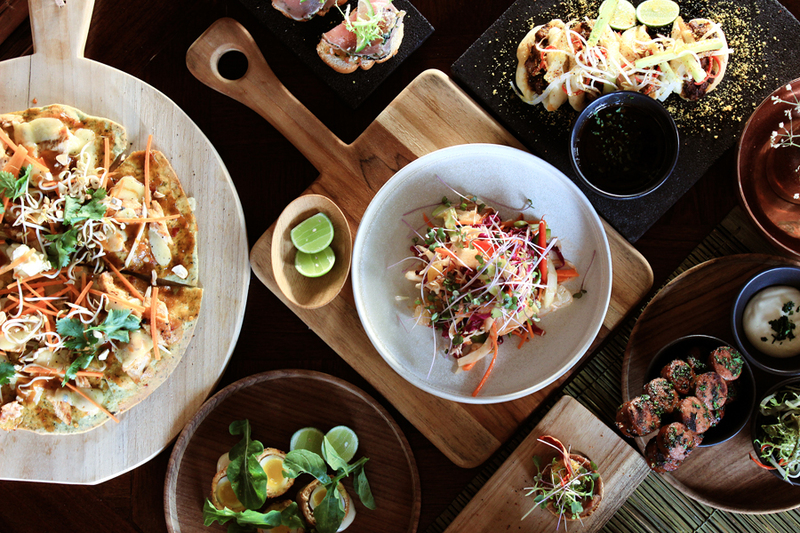 A trip to Bali’s town of Ubud can be enjoyed in more ways than one. For some, the ideal escape will require a trip farther away from the increasingly busy neighborhood, while others may want to enjoy being within close proximity to the many unique shops and dining venues that dot its main streets. 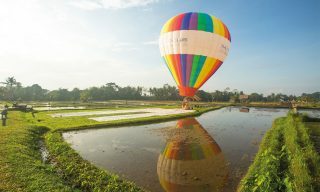 For travelers who lean more towards the latter, Bisma Eight Ubud, which opened in early 2015, is the place to consider, thanks to its ability to capture essential Ubud experiences and its ideal location. With its combination of exposed concrete and wooden elements, Bisma Eight is a beautiful meeting point between modern design and Balinese craftsmanship, pulling off a stylish and minimalist look without sacrificing traditional details. 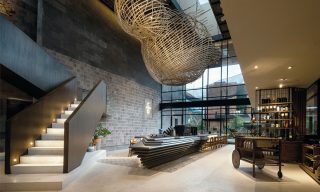 Designed by Bali-based Arte Architects & Associates and Singapore-based Fuur Associates, the property adopts some of the elements Ubud is known for and translates them into its own version of a chic Balinese hideout. Bisma Eight is home to 38 rooms that are divided into three categories: the Forest Suite, Canopy Suite, and Garden Suite. 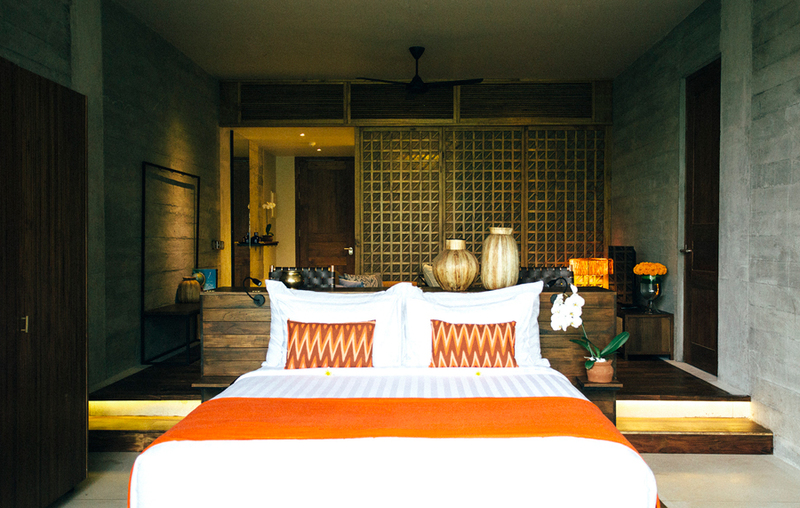 Each of these spaces features a private balcony and a roomy living area that is separate from the bedroom, partitioned using sungkai wood panels; there are soft ikat pillows, bed linens, and woven jute rugs to match the room’s design, all of which are made by local craftsmen. 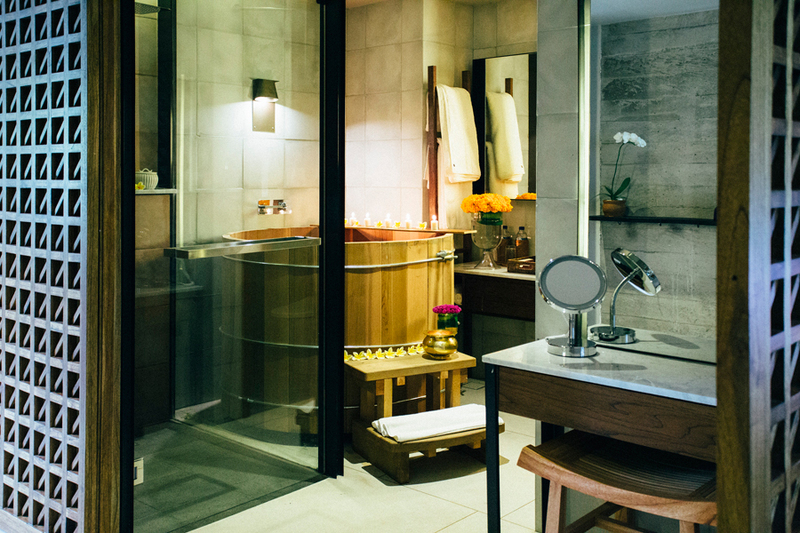 Another unique feature would be the Japanese-inspired soaking tub made of aromatic cedar wood that sits in the bathroom and is the first of its kind in Bali. 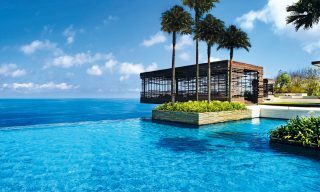 From its design to its immediate green surroundings, the property takes guests to indulge in simple pleasures like a breezy afternoon spent swimming in its rooftop infinity pool or having drinks at the tropical bar on the same floor. 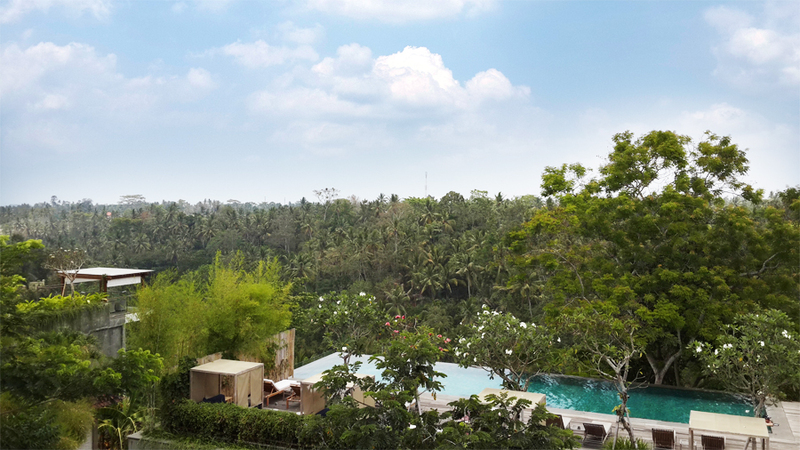 Guests will get to enjoy unobstructed views of Batu Karu as they catch up on their holiday reading. Located not too far from one of Ubud’s main roads, the Monkey Forest Street, Bisma Ubud offers the best of both worlds, allowing visitors to conveniently explore the town’s many shops, bars, and restaurants that are all just a short walk away and at the same time enjoy the town’s natural jungle setting and views of rice fields that surround the property. The hotel owns and manages its own organic farm called the Bisma Garden, from which organic produce are sourced to put together healthy, delicious dishes at their on-site restaurant, the Copper Kitchen & Bar. 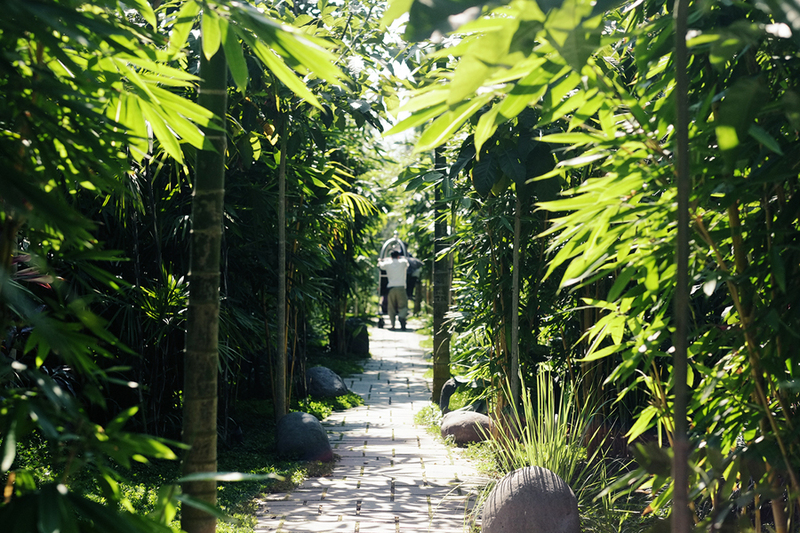 At the garden, guests will also get the opportunity to forage for their own vegetables to add to their meals. 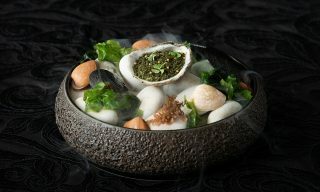 Jalan Bisma, Ubud; 0361/4792-888; Bisma Eight Ubud; doubles from USD 193.